This is my favorite of the L'Ange series. I loved that there is a plenty of page time for the other MC's from the series, but that the story focuses on Jon and Kelvin. I loved the community and feeling of family that suffuses the story...but mostly I loved the hell out of Jon and Kelvin. Mary Calmes sure knows how to deliver a good shifter story. There's no shortage of mates, suspense, and bloody times in this one. The boys work for their HEA, and it makes for an thoroughly entertaining listen. Tristan James does a terrific job with the character voices, especially Kelvin's Scottish brogue, pacing, timing, and voice over. 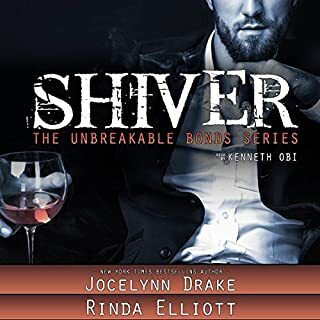 This is a great shifter story, especially on audio, and the series just keeps getting better. NOTE: I would not recommend this as a standalone. I would definitely recommend the others in the series before listening to Chosen Pride. Totally lives up to expectations!!! I’ve been waiting for this for SO LONG! I ADORE this series in both it’s written and audiobook formats. I listen to them frequently so I feel like I know these guys personally LOL. Jon started out as a sort of “bad guy” in that he was meant to seduce Roman (to get a promotion) but couldn’t because Roman was in love with Quade. Jon seems like he’s lazy or at least without direction, but Roman sees something else in him and decides to “keep” him at L’Ange. Then we see him again when he travels to New York to help Arman with Linus’ revenge and there’s where he meets Kelvin. We got a delicious hint of their matehood there and thus the anxious waiting for this book! Kelvin is a wolf-shifter who (we find out) has a specific set of (TERRIBLE) rules to follow regarding his station. (Mary’s wolves are NOT noble creatures in general but rather barbaric – which is funny because her Hyena and Jackals are very noble!) He’s never been with a man and (at first) feels he can’t be with Jon due to his job title and the subsequent duties associated with his title. However… there’s some pretty exciting twists and turns which put our poor heart-broken Jon in the same proximity as Kelvin (who’s also hurting) and their mate-bond cannot be denied. But before all that – there’s a wrinkle – and this wrinkle had me scratching my head and wondering where the story was headed – and that has to do with a certain assistant Linus hires. In any case, it’s a Mary story, so you know it’s good. You know it ends happily. You know there’s going to be some violence and some excitement. (WOW – yes there is!) Fans of the series will get to see more of our previous MCs – I LOVE LINUS so much in this!!! And Arman has a scene that brought me to tears. Totally as awesome as expected! MMMMMMM. Tristan’s accents are so, so delicious and Kelvin is absolutely fabulous! You’re going to want to get this as soon as possible if you haven’t already. Tristan James makes this series one of my all time favorites and I can listen to it over and over. Now we get another one to add to the rotation and WOW it’s got so much going on – absolutely amazing. This is an excellent series! The setting for each book is unique and interesting. I really recommend it. Having said that I do have one negative thing to say. This author seems to have one bad writing quirk. She seems to get too descriptive at bad moments, losing the momentum behind the scene. She tends to go off on a tangent losing track of the main point and losing the 'feeling' she inspires in the reader because of it. But, regardless of that, I'd STILL recommend this series to anyone. They are all so interesting in their own unique way, it would be a shame not to listen. I'm pretty sure some of the characters got mixed up toward the end which was very frustrating. narrator is always awesome. This is the last story in the series, and I am sorry it is over, but at least I can listen again :) . 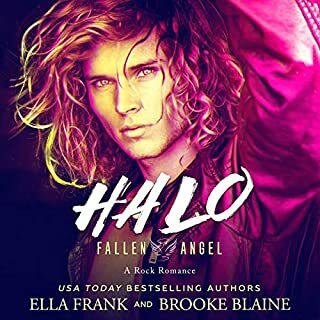 I love paranormal romance and this whole series is so very well done. Tristan James bring Mary Calme's characters to life and it is a wonderful listen. His Scots accent in this one is great and made the listen even better. Well worth a credit. I fell in love w/ Old Loyalty, New Love and had listened to it again about 4 times when I discovered Book 2. I was so thrilled, and fell in love all over w/ Armin and Iinus. The story was totally different but captivating, and once again I listened to this book over and over. I have enjoyed other books and other authors and audible books are my favorite, but for reasons unknown this author and these two books completely captured my heart. When book 3 came out I was beyond happy and once again this story stole my heart. I love the characters, the stories, the descriptions of the locations, I love everything about them. They make me feel warm and fuzzy all over. I highly recommend. With the time lapse since the last book I had a hard time remembering past characters let alone all the new ones plus the positions within the king's court and the Gaelic terms. It seemed scattered and there were several inconsistencies and speaking of wrong words. The book is amazing as always but Tristan James is awesome! The Scottish accent is to die for lol. I'm so so sad it's the last one. Mary calmes you are amazing. It truly is amazing to see the complete metamorphosis Mary underwent writing this saga. I was a bit put off by the beginning of the first book,but by the time I finished it, I had to continue. The second was good, and this, the best. well done. When I read this book I have to admit I couldn't wait to see how the narrator would be able to do Kelvin's brogue justice but holy moly Tristan has done that. I've heard other books he's narrated and he never fails to deliver. 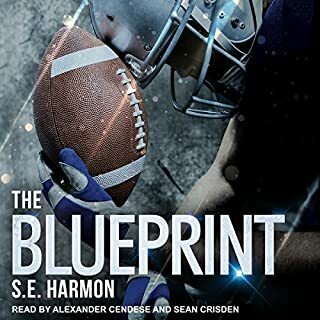 His smooth, smoky voice is a favorite so I knew going in that the narration would be spot on and the moment I heard Kelvin's first line I did a mental fist pump because it was amazingly well done. This third installation is about Jon Slade, a lion shifter who finds his mate in the Fenrir of a wolf pack...but not just any wolf pack..THE kings wolf pack..oh the heartache in this is so profound you wanna just reach out and give Jon a hug because though they are mates Kelvin is bound by station and duty to sire the next Fenrir. Kelvin's solitary lot is revealed and though he is his kings champion he is treated as little more than some peace of offal to be endured instead of celebrated for the magnificent warrior he is. His plight is just gut wrenching because for the first time in his life someone sees him..not champion or wolf or any other thing but a beautiful man. JON sees him, wants him but duty calls and Kelvin is forced to leave him behind. What follows is such heartache that you want to weep and scream at the same time. Jon tries to put aside his wants for his mate and manages after a time to find a way to bear the burden of pain the loss of his other half causes. I will not spoil anything but it's a heck of a ride and you'll enjoy every single moment of it. Holy wowzers! 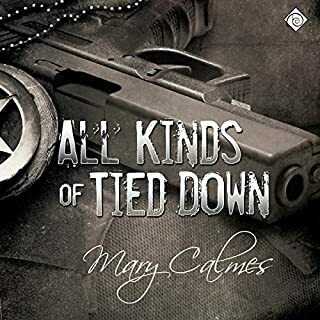 Such an amazing book from Mary Calmes yet again. The storyline turned out different to how I thought but it was even better. I have loved Tristan's audio throughout this series, and with The Marshals too, but this one.. Thank you both Mary and Tristan for an amazing audio experience with this book and series. I have truly enjoyed it and highly recommend it!